There are a variety of different methods that can be used in order to boost these different physical traits and properties depending on the needs of the customer and the capabilities of the rubber channel manufacturer. Rubber channels are most commonly created using extrusion processes, and they can be used for a wide range of applications such as noise control, vibration control, and even just decorative trim. No matter your needs, it is important to fully research different rubber channel manufacturers and the capabilities that they have in order to receive the best possible product. Rubber channels are manufactured through the rubber extrusion process which is a process where a rubber blank is forced through a die in order to shape it into the final desired product. This process can be used for a wide range of materials from metals and ceramics to food products, think of how sausages are made and that is essentially the rubber extrusion process. 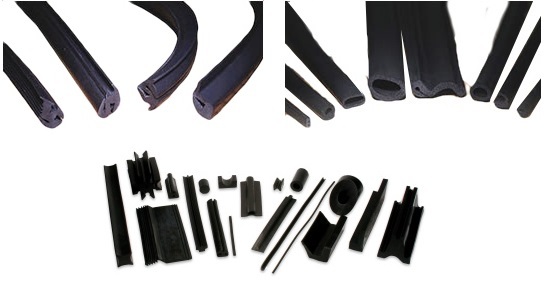 However, if you are searching for high quality rubber channels it is best to go with a company that specializes in rubber extrusions as they will know how to work with the material in order to ensure that all of your expectations, specifications and requirements are met. The reason why the extrusion process is used over any other form of manufacturing is that through the use of extrusion the final product can be in great lengths which is typically something that is coveted when dealing with rubber channels. Whatever your application may be, finding the right manufacturer is the difference between an average product and a great product. Be sure to fully understand what it is you are looking for in your final product and how and where you will be using the product as all these considerations will factor into the material choice and process that your manufacturer may use when creating your rubber channel. Rubber Channels Rubber channels, specifically rubber u-channels, are products used as seals or as extra protection for all kinds of equipment and products. Rubber itself is great for these forms of applications as it is naturally resistant to water and moisture as well as having high impact strength.